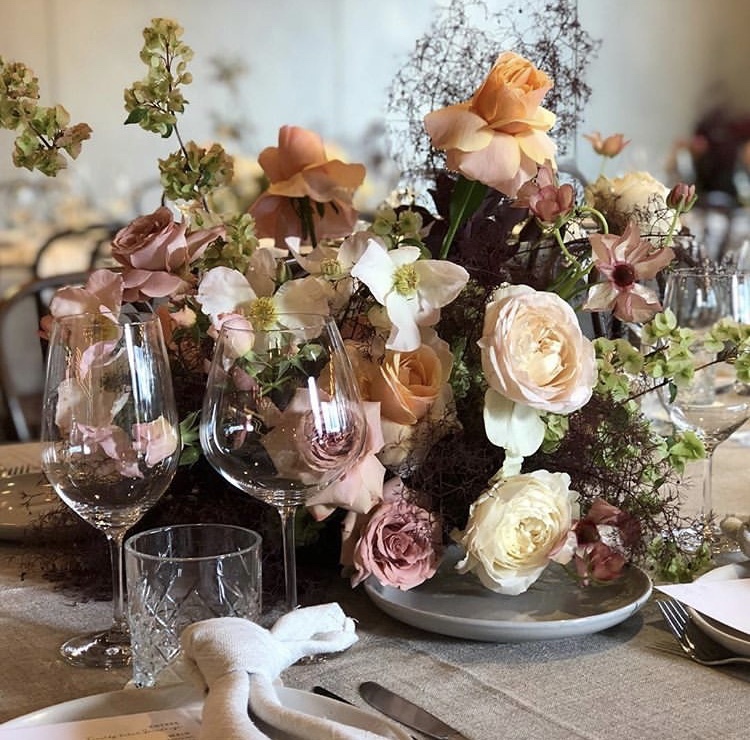 Home/Blog/Table Art linen hire shares exciting wedding themes to watch out for in 2019! The year has just begun, and if you’re planning a wedding for 2019, it’s set to get pretty busy! With all the planning, organising, and decorating a couple (or perhaps more realistically, their wedding planner!) undertakes, setting everything up for your wedding day is one of the biggest and most exciting tasks you’ll ever have! So the dress is sorted (and hidden from view from your husband-to-be), you’ve selected the menu at your venue, and now, it’s time to finalise all those important styling traits to help bring your wedding vision to life. 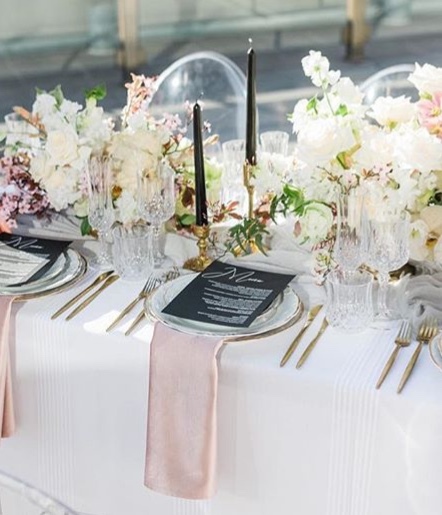 This week, we take a look at some of the biggest wedding trends set to take off in 2019, and help you understand the critical role your table linen plays in helping you achieve your theme. Our linen hire experts share their take on the top wedding styling trends of the year. Velvet may have been a bold trend in the 80s, but make no mistake as this trend is making a comeback! 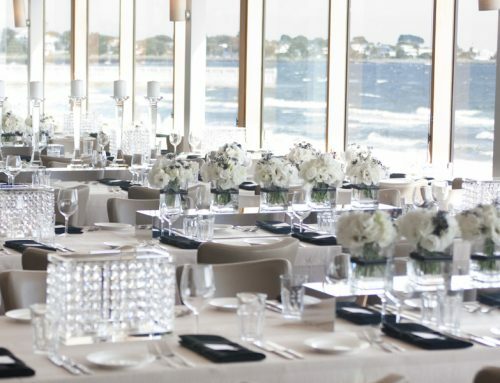 Only this time around, we’ve lost the shoulder pads and instead welcome a luxe, smooth, and sultry velvet that’s adoring wedding and event venues all across Australia! Velvet brings warmth and luxury to your event, and if you desire, can also be styled to add a touch of vintage. Whether you want soft-touch velvet armchairs or luxe velvet napkins, how much or how little you incorporate is up to you. 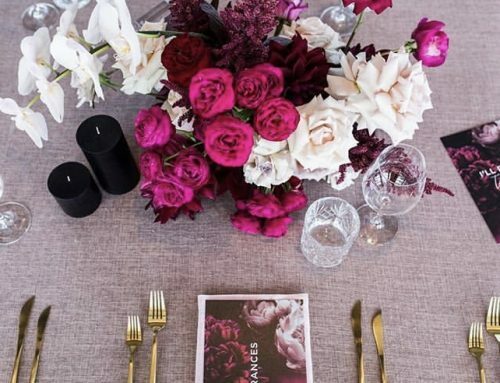 You might think that velvet best suits a winter wedding, but make no mistake, a touch of velvet can be used during a summer wedding too, no matter the theme. 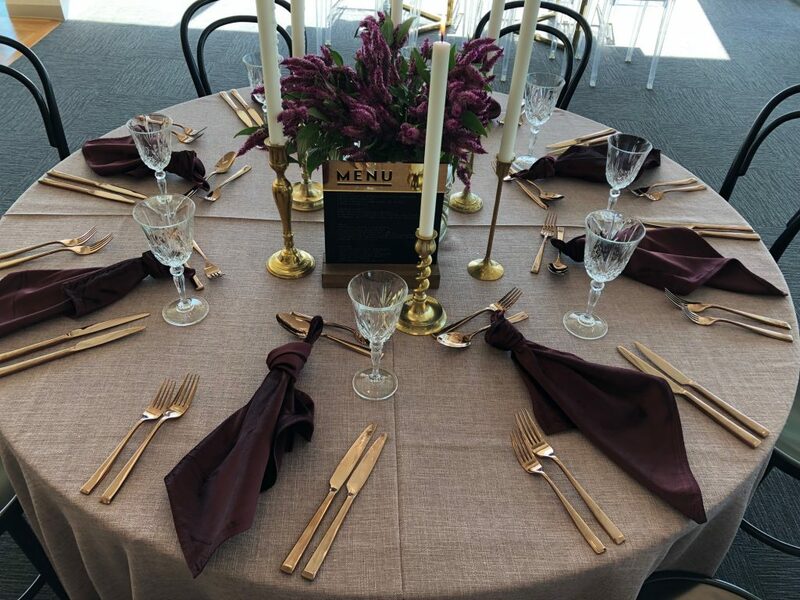 We love our Mulberry Velvet napkins as part of this stunning event. The light tablecloth and fresh florals ensures the napkin is a real standout without being too “moody”. There’s a reason we’ve called this one “classic” – no matter how many years pass, a romantic theme will never go out of style! From pastels to crisp white with touches of pink, a romantic-themed wedding is a tried and tested trend that’s stood the test of time. Paired with delicate florals or decadent candlelights, you’ve got the makings for a stunning, classy, and classic romantic wedding. For a subtle modern twist, add a touch of mint green, spring blue, or gold and silver. Not to be pigeonholed into the “rustic” category, texture comes in many styles and colour palettes, making it a little ambiguous as a theme, but nonetheless, oh-so-stylish. Regardless of whether you’re more glam or vintage, texture can be woven throughout your wedding, in terms of foliage, furniture, and of course, table linen. Suitable for all seasons, our woven table linen for hire adds dimension, texture, and body to your table settings. Choose a muted, sophisticated tone that can be matched to almost any colour palette, or a striking shade like our blush weave, chili weave, or seafoam weave to enhance your theme. 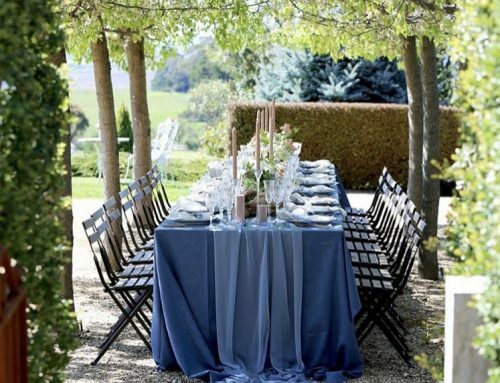 View our linen hire catalogue here. There truly is beauty in simplicity. Bare tables – rustic wood, dented by nature, displayed in all its glory! The third lends ourselves to our next product, table runners. 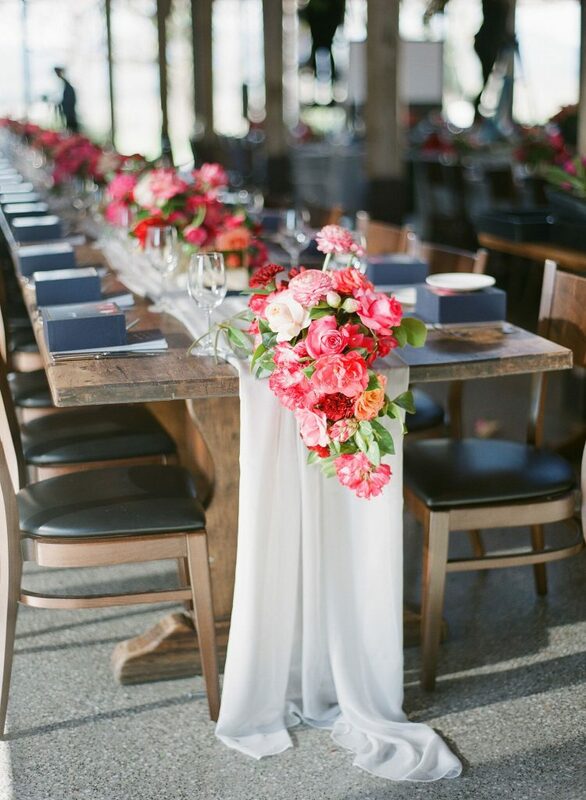 Why not show off a rustic wooden table, accentuated by a stunning table runner adorning the middle? Let it hang over the ends of your table, reaching the bottom to achieve that rustic and relaxed theme. A table runner also helps dictate where your decor goes, keeping the exposed table clear for plates, glassware, and cutlery. Adorn your runner with foliage, flowers, or candlelight (or all three!) to create a striking balance between a sophisticated yet rustic setup. Like we said earlier, velvet doesn’t necessarily need to lend itself to a moody theme… unless you want it to, of course! Velvet is the perfect staple accessory for a dark and even edgy wedding theme – without losing the romance side of things. Who said this trend was solely for autumn weddings? With a touch of glam mixed with an edgy colour palette, this theme can be adapted to any season! Consider black, white, and shades of grey or oatmeal as your base, teamed with touches of emerald green, teal blue, and mulberry to complement the theme. 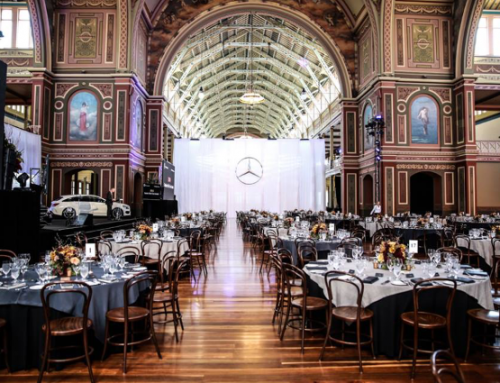 Get on trend this year with linen hire from Melbourne’s Table Art! 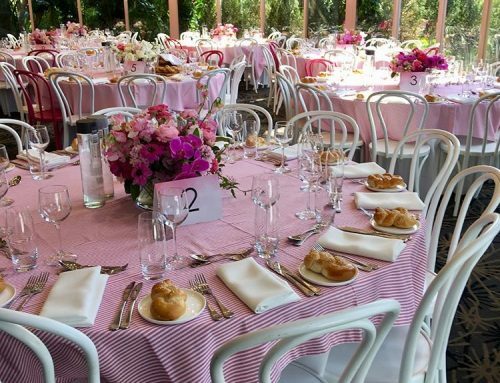 Remove the stress of sourcing and purchasing dozens of tablecloths with linen hire from Table Art! There’s nothing we love more than styling a stunning table, and we can even help by creating a mock table setting that you can see for yourself! We guarantee to provide you with high-quality table linens, runners, napkins, and other table accessories for all your special events. Best of all, you don’t need to worry about purchasing, cleaning, and storing tablecloths that you’ll probably never use again! Want to know more? Our Hawthorn East showroom is open by appointment only, so give us a call on (03) 9813 2851 or fill in this form and tell us a little about your event!